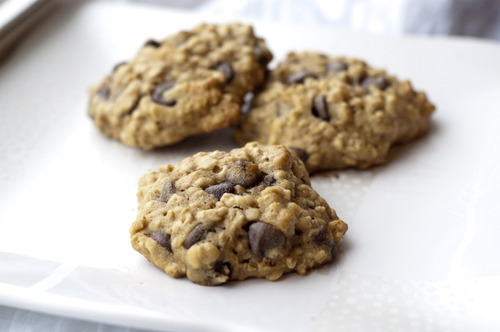 I know, I know…I just posted the best cake balls; how could I possibly have the best oatmeal cookie recipe too? Actually, this was probably one of the recipes that got me interested in baking. 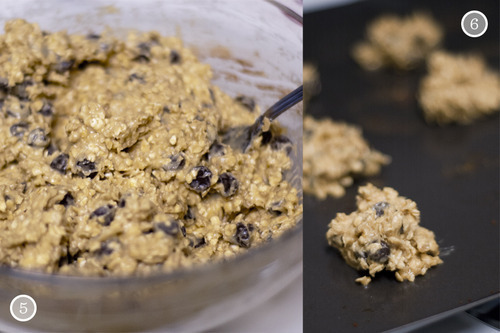 This was my go-to recipe as a kid, and even though I probably got it off the back of an oatmeal box, it felt like my own and I was always so proud to share it. 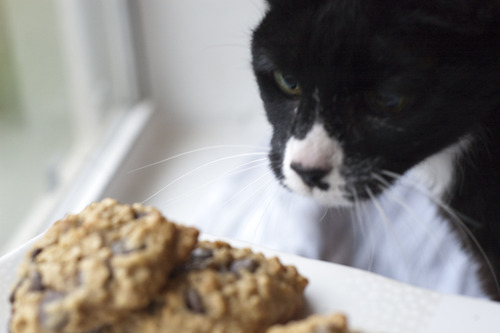 My cat seemed to know that these are the best oatmeal cookies too, because she was all over the plate during the photo shoot. in oats and all chips. balls of batter onto ungreased cookie sheet.